Insuring your brand new home is part of the purchase process. A lender will not sell you a home that is not insured, and they will force you to purchase insurance if your policy ever lapses. There are five serious steps you can take today to pay less for your homeowner’s insurance policy. Take each step on its own to find a better policy, and keep using these ideas over the years to keep your insurance premiums as low as possible. You can get a very good idea of how much you will spend with competing companies when you compare their basic pricing. This pricing does not take every aspect of your home and family into account, but you can see who is more or less expensive on the whole. You can rule out some companies from the beginning simply because they are so much more expensive than their competitors. There is a package directed at someone like you with virtually every insurance company. Active-duty military personnel are often given special deals, and first-time home buyers are often allowed special rates. Teachers, nurses, police officers and firefighters are often in a similar situation. These special packages offer lower rates to people in these professions, and you must ask what special rates are there for you. 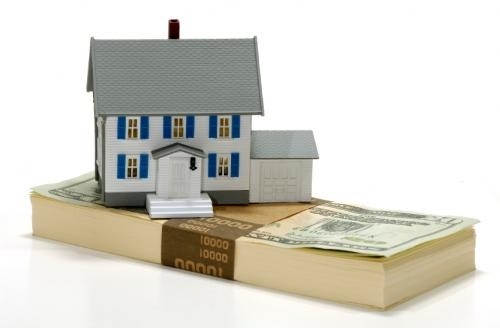 You need to include every aspect of the property in the evaluation for the insurance company. Small things like a fenced-in yard help to reduce rates, and a termite prevention system helps you save money. Let the insurance company know if you have lit streets because burglars are less likely to rob homes where they can be seen. A yard that is clear of trees reduces the risk of storm damage, and a home on higher ground is less likely to be flooded during torrential rainstorms. Every little bit helps as you try to save money. A security system instantly improves the insurance rate for your home. You re taking a proactive stance against theft, and the security system cuts into your insurance rates accordingly. A security system that is more advanced offers even more savings, and the insurance company will ask if the system is registered with the local police service. A gated or covenant community will lower your rates even more. Thee communities often have their own security staff, or you will be part of the neighborhood watch association. These small security details lower the risk at your house, and the insurance company counters with lower rates. You may combine your auto and home policies with the same company to save even more money. Combining these two policies allows you to cut down on clerical costs for the company, and they pass those savings on to you with your premiums. You will get one bill every month that shows both policies. The simplicity of this arrangement works for everybody, and you will be able to cut into those premiums even more with other policies in the future. The five steps listed in this article will lower your insurance rates quite a bit, and you may combine these steps if you like. You need to pay as little as possible for your homeowner’s insurance, and this list contains the tools needed to lower your premiums. You have the ability to change polices whenever you like, and you can save money by using these policies as a disposable financial product. Every change saves your family money during the year, and every policy provides the protection your lender requires.